June 1, 2018 - Carolyn Ney, Realtor/Broker in Austin TX - Lynette Hale is a gifted young lady with an enthusiasm that is difficult to duplicate. In meeting her several years ago, I recognized right away that she has a calm mannerism and is always ready to go that “extra mile” to accomplish what she sets out to do! She has a lot of creative ideas and will be an asset if you decide to list your property with her. Having been in real estate for over 20 years, I feel she has the type of personality to be the exceptional realtor that you will be pleased with. June 1, 2018 - Juan & Stephanie Mata - I am writing to commend Lynette Hale on the superior service and dedication she demonstrated in selling our home. It was an absolute pleasure working with Lynette. The moment she walked into our home we knew she would be our realtor of choice. We would highly recommend Lynette Hale to anyone who is looking for an outstanding agent. We found Lynette to be extremely hard working, knowledgeable, detailed, sincere and professional. We could not have been more satisfied with our choice for an agent. She always had a way of making us feel that we took first priority, even though we knew she worked equally hard for all her clients. In the end, her comforting guidance and assistance made selling our home a painless experience. June 1, 2018 - Lisa Daniel - “Thank you” for all your advice in helping to sell our home. After a year on the market with no success, your changes were exactly what I needed to sell it in just three weeks. I couldn’t believe what a difference it made to clear off shelves, rearrange furniture to show off the assets of our home, and most of all to disguise our child-friendly house so that it would appeal to the single person you knew our square footage and floor plan would end up selling to. Our house looked like a model home when you were finished with it and sold like one too – quick! I wish we had started with you in the beginning! June 1, 2018 - Fred W. Beavers - On behalf of my daughter, Marla Beavers and myself I want to inform you on the extraordinary service and exemplary skills that your agent Lynette S. Hale afforded us during the purchase of Marla’s property. Lynette provided her negotiating skills and indefatigable energy on every occasion we had contact with her. Please let her know that we hold her in very high esteem as a realtor that we would not hesitate to recommend to our friends. June 1, 2018 - Corrin and Henna Le Vasseur - My daughter Henna and I wanted to thank you for helping us sell my condo and purchase our new home. Due to the fact that we put the house on the market during the holiday, which I understand is probably not the best thing to do, we probably weren't your easiest customers. We really appreciated your patience. You were quick to return calls, answer questions and advise us on matters concerning selling or buying. You contacted us regularly, even when we hadn't called you, to keep us informed on both transactions. You made sure that paper work was in order, deadlines were met, and our closings went smoothly. We enjoyed working with you. We also felt both transactions were handled in a very professional manner. Real estate information was clear and concise. Our questions and concerns were addressed promptly, and deadlines were met on time. The closing on both properties went as smoothly as possible (considering the difficulties with my lender on the new house). We wanted to thank you for your thoughtfulness, too and we look forward to a long friendship. We have been telling our family and friends about the great service we received from you and we'll continue to recommend your agency in the future. June 1, 2018 - Nathan Little - My wife and I used Lynette as our realtor for relocating to San Antonio from out of state. We found Lynette to be extremely friendly, knowledgeable about the area (schools, amenities, etc. ), flexible to our timeline, and accommodating to our needs to out of state purchasers. She made the house viewing experience enjoyable and the purchase experience seamless. Lynette also “went the extra mile” for us as we prepared for transition to Texas. In particular, several weeks after we owned the home I was trying to get the utilities activated and the house cleaned ready for our move in. I was having difficulty getting the electricity up and running, and Lynette made three different drop-ins to the home for me to check water and electricity activation. I don’t see this level of service as core to her role as our realtor, but she offered it freely and assisted with a smile. This was huge to me, and really made the move significantly smoother for my wife and I.
June 1, 2018 - Dan & Ellen McMahan - We moved to Texas and needed to find a house quickly but we also didn’t want to settle on just any house. We had some specific needs that narrowed the field of available houses considerably. We actually thought that we were going to have to rent an apartment for a while because we weren’t optimistic that we would find a house. Then we met Lynette Hale. She was tireless. She looked at our list of demands and attacked them. She sent us properties almost daily. I work a very odd schedule but it didn’t faze her a bit. She met us anytime, anywhere to look at properties. When we became discouraged she made some suggestions to tweak our needs and gave us hope. After many, many, many showings she found us the perfect house that met every one of our needs. We knew immediately that we had found “our house” and went straight to her office to write an offer. That’s usually where the realtor – client relationship ends. Not so with Lynette. She put together a huge packet of information for us regarding the city of San Antonio. It included everything from utilities contacts to vendor suggestions. There were restaurant coupons and entertainment suggestions in the packet as well. It really helped us get through the first few months in a new city. A year after we moved in she came by the house with a thank you gift. We follow her posts regarding the current real estate market in San Antonio and she knows her stuff. We continue to be friends now, almost three years later. She’s actually helping us find the right fit for a refinance. We have to say that in all of my experience (we’ve owned six houses) we’ve never had a realtor put as much effort in as Lynette. 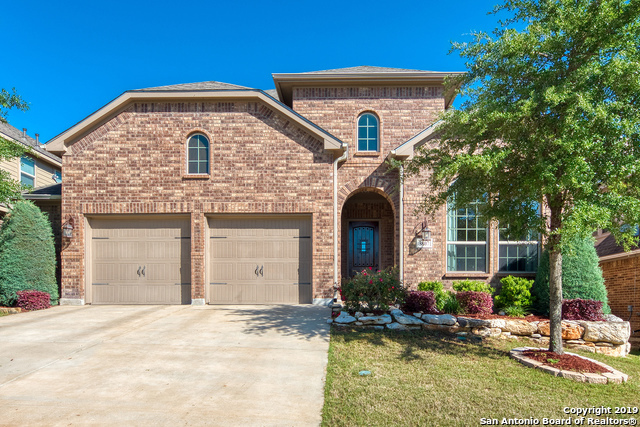 If you’re looking to buy, sell or rent anywhere near San Antonio, you will be doing yourself a disservice if you DON’T call Lynette and let her work her magic. Trust us; you’ll be glad you did. June 1, 2018 - Glen Gordon - Thank you so very much for selling my home. Dealing with you has been a pleasure and privilege- I look forward to you handling my future real estate needs. You are brilliant, energetic, empathetic, imaginative, skilled, and a highly personable professional. I was indeed fortunate to have you represent my interests! June 1, 2018 - Joe & Esther Gonzalez - Would like to thank you for all your hard work. We appreciate everything you did for us. We know we will be very happy in our new home. Thanks again, God Bless you and your family. June 1, 2018 - Chris & Jackie Hildebrand - Thank you for everything you have done to help us find a home and all the incidentals that come with purchasing a home. You were a God send especially after the many disinterested Realtors we encountered. It was fate that we found you and within days found the perfect house. Your honesty and hard work is greatly appreciated. We hope to work with you in all our future home sale and purchases. June 1, 2018 - Andy & Lori Dreyer - Thank you so much for your assistance with buying our first home. We are enjoying our house so much. You really took the time to get to know what we were looking for. We are also grateful for your guidance and suggestions regarding floorplans and features of the homes we looked at. You made relocating from Omaha very easy. Thank you for your suggestions regarding restaurants and things to do when we were house hunting. You made home buying so pleasurable! June 1, 2018 - Kimberly & Kenny - Our hearts and our futures are so very full and we are thankful to you for helping us start our new lives together! You are a first-class Realtor and a sweet human being. Thank you, thank you, Thank you! Texas Realtor, BBA Marketing, ALHS, ePRO, PNP. With a highly discerning eye, and a competitive and ambitious spirit, Lynette employs creative, cutting-edge strategies to drive results and help you achieve your Real Estate goals. Lynette’s expansive background as a Realtor and Therapist in Healthcare is a distinct advantage that places her ahead of the pack in the real estate industry. Her nurturing, intuitive, inventive and intelligent approach to reimagining your home to show its greatest assets and position it to achieve its maximum value makes others pay notice. Highly intuitive and a visionary, she implements change and influences others with bold, fresh ideas. Native of San Antonio, Texas; Relocated and resided all around Texas, Montana and Wisconsin.